Grab a tool. Change a Home. Change the world. A fresh start … untold thousands of couples are hoping and praying for one in 2016. The HomeBuilders Couples Series® helps you build a godly marriage and develop lifelong friendships. 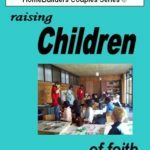 The HomeBuilders Parenting Series™ takes the struggle out of parenting and provides the answers you need to build a strong family. Join one of the fastest-growing small-group studies in the country and take the principles of God’s Word home to your family, church, and community! The HomeBuilders Couples Series is a small-group Bible study developed by FamilyLife dedicated to making your family all that God intended. Whether you’ve been married for years or are newly married, this series will help you and your spouse discover timeless principles from God’s Word that you can apply to your family. Start a HomeBuilders Study Group Today! A great place to start for those who are new to HomeBuilders or want to go deeper into the principles taught at FamilyLife’s Weekend to Remember marriage conference. Part of God’s plan for marriage is for you to help your mate become all that God intended. While that may sound like a big job, all it takes is letting your mate know that you accept them and are committed to meeting their needs. 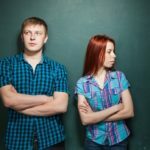 The difference between any two couples is not whether there is conflict, but what they do with conflict when it surfaces. 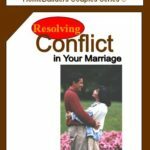 Learn to transform conflicts into opportunities to energize your marriage and increase your love for your mate. You will learn how Jesus provides the strongest possible foundation for you marriage. And, as you grow together in Christ, you’ll find true fulfillment in your marriage–and in God’s purpose for your lives. 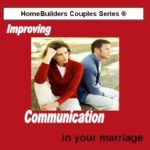 You will recognize and understand the barriers to good communication; learn ways to make your relationship a priority; discover practical steps for resolving conflict; and increase spiritual intimacy as you seek God together. In today’s fast-paced society, people are so busy. 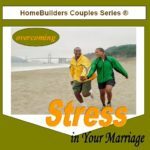 If you aren’t careful, stress and time pressure can put a strain on your marriage. This study is packed with “right-where-you-live” insights and practical help to diffuse stress. It’s no secret that money can cause conflict in marriage. Now you can learn how to work on money issues and strengthen your marriage at the same time! Understand your differences are gifts from God. Learn to enjoy each other more and make your marriage more fun, healthy, and fascinating. 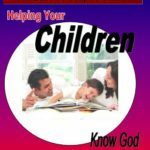 This dynamic, interactive Bible study gives parents the tools to be the moms and dads God intended. Learn how to improve communication with your child, be a good disciplinarian, and build character in your child. This study was written so that moms and dads will grow in their own understanding of our great God, and will be challenged and equipped to pass that understanding on to a new generation. Designed to help parents of teens (or preteens) proactively deal with the hottest issues you will face with your teens. Share the struggles and successes with other parents!